In seconds, the ship will self-destruct. GUS, the ship’s computer, has seized control. A mutiny! Our hero-captain secures the payload, a monolithic essence from the Planet Hops. And escapes, unscathed, in a can-shaped pod. 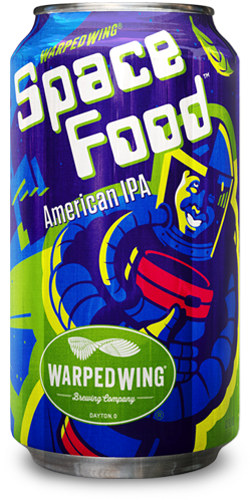 Space Food American India Pale Ale. A galaxy of Citra and Vic Secret hops in every sip. Eat that, GUS.